Are you moving into a semi-detached house or apartment to rent in Glebe? Great but don’t forget to call your Glebe locksmith. We provide a 24 hour service and while we specialise in emergency lockouts we can also double check your security and change your locks. Chances are your new home has had numerous previous tenants. So who knows exactly how many other sets of keys to your front and back doors are floating around. As fully trained and licensed locksmiths, we arrive at your house when we say we are coming, so you are not waiting around all day. We have equipped trucks to do the job once with all the right hardware to fit and install correctly. At Fusion Locksmiths we will look after your Sydney security by giving you great service and great advice when it comes to you and your family’s safety. When you call us, you speak directly with a qualified and fully trained locksmith. We can offer simple advice over the phone or arrange a time to come to your home and discuss your security concerns. All our locksmiths are fully qualified Master Locksmiths and hold Security Licenses. 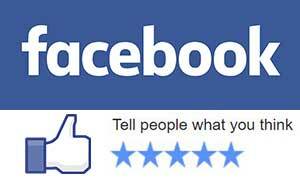 This is our guarantee to you that we know what we are doing and do it properly first time! Our aim is for all Glebe residents and businesses to feel secure again. Contact us any time for anything from an emergency lockout to upgrading your current locks or security system. 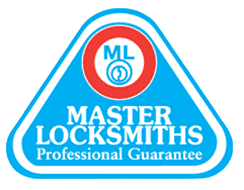 Fusion Locksmiths do not want to mess around with your safety – that’s why we offer an 18 month guarantee on all our workmanship. As licensed and insured locksmiths, we are also highly skilled in fixing and replacing locks and doing so every day. Along with the hardware manufacturers guarantee, you are covered from all angles. Have a lock or security issue you don’t know how to solve? That’s why we are here. Chances are we have a product to solve your problem, or our 9 years’ experience can fix your dilemma – either way we have you and your family’s safety covered. Call Fusion Locksmiths now for peace of mind in property!